The first and only complete guide to tarot interpretation written specifically for teens. • Provides comprehensive interpretations of each card plus instructions on how to use the cards, care for a tarot deck, and read the oracle for oneself and others.• Contains spreads, exercises, and at-a-glance card summaries.• Includes language and life examples geared specifically to the needs and concerns of teens.• Written by the coauthor of Love Planets (50,000 copies sold) and the author of The Everything Tarot Book and Teen Astrology (10,000 copies sold). The ancient art of reading tarot cards is a universally popular method of interpreting what's happening in one's life and finding answers to critical personal issues. 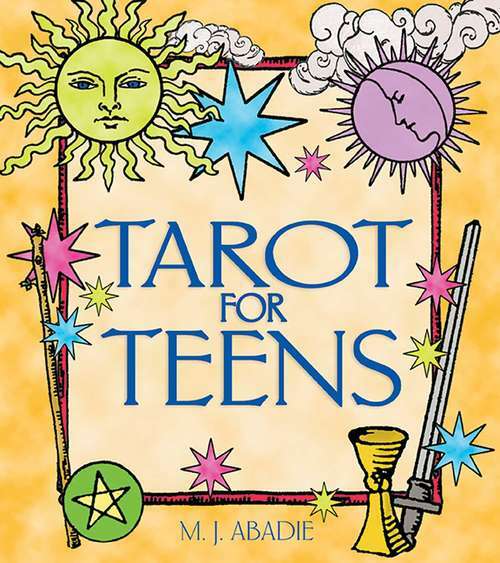 Tarot for Teens uses examples common to the teen experience to teach how to interpret the cards and apply the oracle to life's timeless themes and challenges: the quest for love, issues of work and career, and the search for spiritual insight and personal growth. The author offers comprehensive explanations of each card that can be applied to any tarot deck and provides a wide range of sample spreads and exercises. She also explores the tremendous variety of tarot decks available today. Tarot for Teens is filled with possibilities and connections--astrological correspondences, numerological references, mythological explanations, interpretations for cards in both "upright" and "reversed" positions, and practical advice for doing readings--to maximize the fun, potency, and teachings of the tarot.